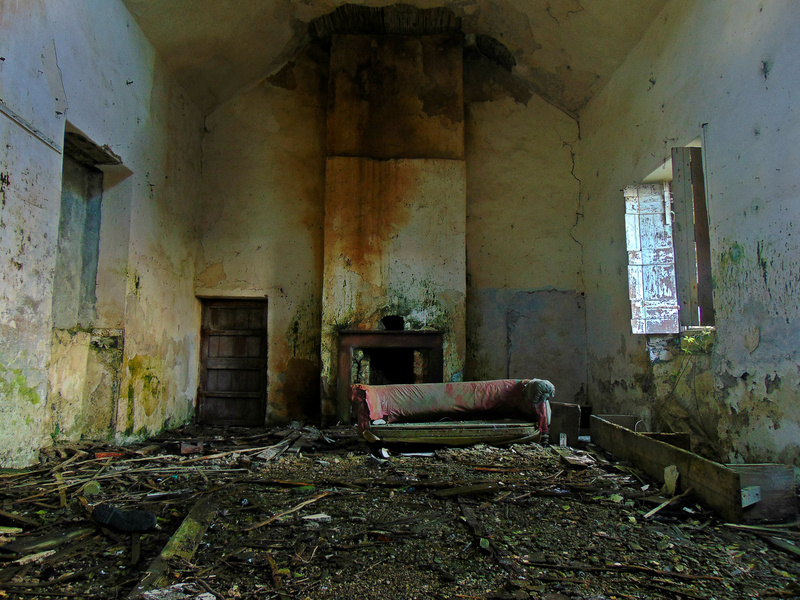 Lisglennon National School is situated to the west of Killala Bay in the rural townland of Lisglennon in north Co. Mayo. The building lies immediately adjacent to the ruin of Ballysakeery Church, with a former Presbyterian Meeting House lying further to the east. The exact date of construction is not known though it may have been built around the same time as the adjacent Church (Board of First Fruits Church of Ireland church, under construction 1806 – complete 1810). 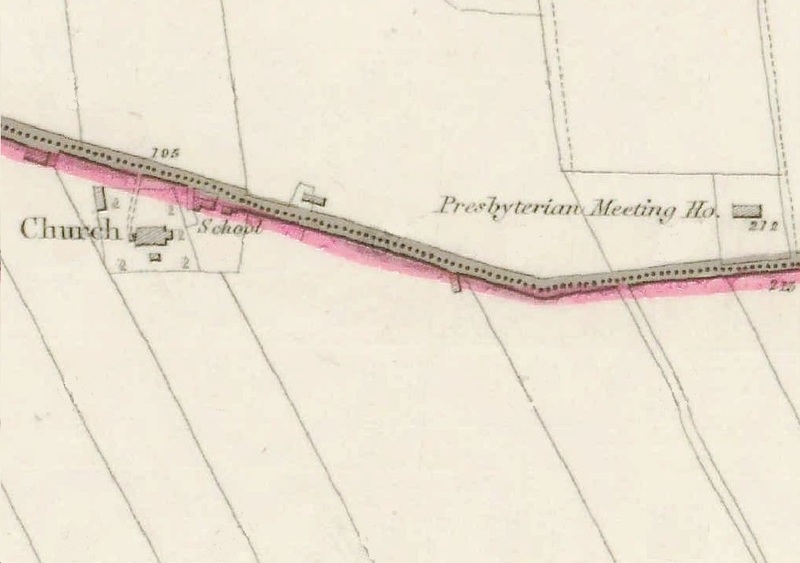 It is certainly a relatively early school house in Ireland, and can be identified on the First Edition Ordnance Survey sheet for the area which dates to the late 1830s. Today, both the Church and the school buildings are in a ruinous state, though unlike the church, the school retains its roof. The 1901 census suggests that the school was in use at that time, but it had fallen out of use by the time of the 1911 census. The building itself comprises a detached three- or four-bay single-storey school house with half-dormer attic on an L-shaped plan with an outline of single-bay single-storey gabled advanced or projecting porch. It has a pitched slate roof of timber construction with clay ridge tiles, ivy-covered rendered chimney stack with capping not visible, and no rainwater goods surviving on cut-limestone eaves. The north-eastern rough-cast walls include square-headed window openings with cut-limestone sills, and concealed dressings framing the remains of six-over-six timber sash windows with a one one-over-one timber sash window in the western gable. 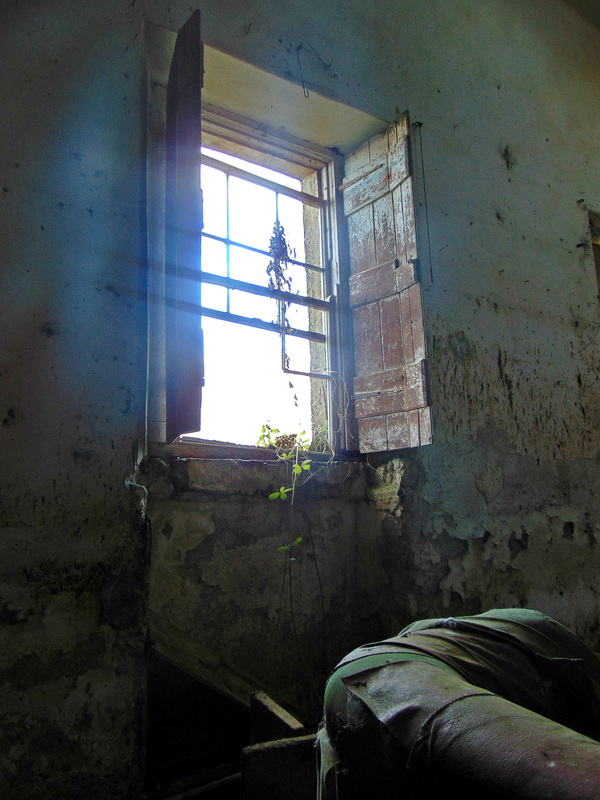 It is a dilapidated school house forming part of a neat self-contained group alongside the ruined Ballysakeery Church with the resulting ensemble making a pleasing visual statement in a sylvan street scene. Joined 3rd Light Horse Regiment at Gallipoli, 6 August 1915. Promoted Sergeant, 7 August 1915. Wounded in action, 25 September 1915 (bomb wound, right thigh: serious); admitted to St Elmo Hospital, Malta, 1 October 1915; to Ghain Tuffilo, 9 October 1915; to England, 26 October 1915, and admitted to Beaufort War Hospital, Fishponds, Bristol, 4 November 1915. Returned to Egypt; disembarked Alexandria, 28 February 1916, and taken on strength, 1st Light Horse Training Regiment, Heliopolis, 1 March 1916. Taken on strength, 13th Light Horse Regiment, Tel el Kebir, 2 June 1916. Embarked Alexandria to join the British Expeditionary Force, 14 June 1916; disembarked Marseilles, France, 24 June 1916. Taken on strength, 1st Anzac Army Corps Light Horse Regiment, 7 July 1916. Promoted Farrier Sergeant, 29 July 1916. Admitted to 5th Field Ambulance, 12 September 1916 (pleurisy), and transferred to 17th Casualty Clearing Station; to Ambulance Train No 19, 13 September 1916, and admitted to 3rd Canadian General Hospital, Boulogne, 13 September 1916 (bronchitis); transferred to England, 15 September 1916 (pleurisy), and admitted to 3rd London General Hospital, Wandsworth, 16 September 1916. Discharged on furlough, 3 October 1916, to report to No 1 Command Depot, Perham Downs, 19 October 1916. Proceeded overseas to France, 5 April 1917; rejoined unit, in the field, 19 April 1917. Admitted to 3rd Australian Field Ambulance, 18 September 1917 (pleurisy), and transferred same day to 3rd Casualty Clearing Station; to Ambulance Train No 10, 19 September 1917, and admitted to 55th General Hospital, 20 September 1917; transferred to England, 23 September 1917, and admitted to County of London War Hospital, Napsbury (pleurisy: slight); transferred to 1st Australian Auxiliary Hospital, Harefield, 13 October 1917. Discharged on furlough, 17 October 1917, to report to No 2 Command Depot, Weymouth, 31 October 1917. Admitted to 1st Australian Auxiliary Hospital, Harefield, 14 November 1917 (pleurisy); discharged to No 2 Command Depot, Weymouth, 21 November 1917. Commenced return to Australia on board HS ‘Kanowna’, 16 December 1917, for discharge (pulmonary tuberculosis); died on board ship, 18 December 1917; buried at sea. 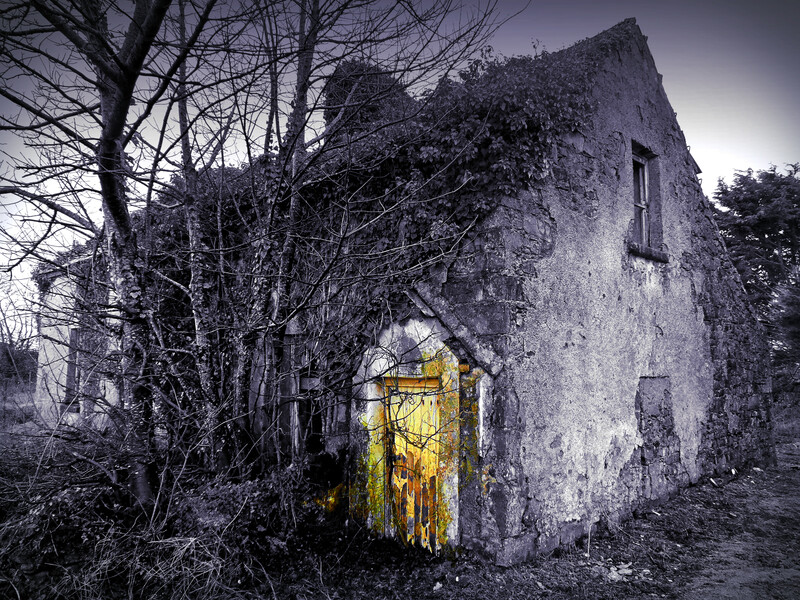 Have you seen the Falleighter Old Schoolhouse in Falleighter, Kilkelly, Co. Mayo? St Patrick’s National School.Built in or around 1905, it closed in or about 1972. We believe it is a school my grandfather attended. He was born in 1899. The school in the photo is mullafarry old school. Lisglennon school is just about a mile away from it.